Gilead Sciences announced results from two studies evaluating the safety and efficacy of sofosbuvir-based regimens in chronic hepatitis C virus (HCV)-infected patients with genotypes 2, 3, 4, and 5. BOSON (Study GS-US-334-0153, #LB05), a randomized Phase 3 study of 592 patients, evaluated the safety and efficacy of Sovaldi (sofosbuvir) plus pegylated interferon/ribavirin (PEG)/RBV for 16 or 24 weeks compared with Sovaldi plus PEG/RBV for 12 weeks among treatment-naïve or treatment-experienced genotype 3 patients with and without cirrhosis and treatment-experienced genotype 2 patients with cirrhosis. Thirty-seven percent of study participants had cirrhosis. Among genotype 3 patients, rates of sustained virologic response 12 weeks after treatment (SVR12) were highest among those receiving Sovaldi plus PEG/RBV for 12 weeks (93%, n=168/181), compared to those receiving Sovaldi plus RBV for 24 weeks (84%, n=153/182) or for 16 weeks (71%, n=128/181). Treatment-experienced genotype 3 patients with cirrhosis receiving Sovaldi plus PEG/RBV demonstrated SVR12 rates of 86% (30/35). SVR12 rates among genotype 2 patients receiving Sovaldi plus PEG/RBV were 94% (15/16), and 100% (17/17) and 87% (13/15) for those receiving Sovaldi plus RBV for 24 and 16 weeks, respectively. In the open-label Phase 2 study of Harvoni (Study GS-US-337-1119, O056), results demonstrated high SVR rates in both treatment-naïve and treatment-experienced patients with chronic HCV genotypes 4 or 5 infection, 50% of whom had cirrhosis. Ninety-three percent of patients with genotype 4 (41/44) and 95% of patients with genotype 5 (39/41) achieved SVR12. Response rates were similar among both treatment-naïve and -experienced patients and regardless of cirrhosis. Sovaldi is already indicated as a component of a combination antiviral treatment regimen for chronic hepatitis C (CHC) genotype 1, 2, 3, or 4 infection, including those with hepatocellular carcinoma meeting Milan criteria (awaiting liver transplant), and those with HCV/HIV-1 co-infection. 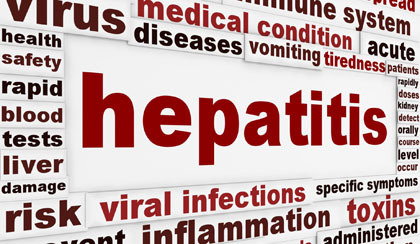 Harvonis is also already indicated for chronic hepatitis C genotype 1 infection.